Woh, it’s a big week for Nintendo downloads. That doesn’t necessarily make it a great week, but at least there’s a lot to go around. With a full three titles landing on both WiiWare and DSiWare, and two coming to the VC we sure are getting more games than usual, but I don’t know if you’re going to be running out to download any of them. DSiWare kicks off the week with some actual games — which instantly makes it a great week — in the form of Viking Invasion (BiP Media, Players: 1, E – Mild Fantasy Violence, 800 Nintendo DSi Points) and Battle of Giants: Dragons – Bronze Edition (Ubisoft, Players: 1-4, E10+ – Mild Fantasy Violence, 800 Nintendo DSi Points). The former is a tower defense game that looks like it could be some fun and the latter is a continuation of the Battle of Giants games, which aren’t the worst things in the world. These to are accompanied by the photo decorating download Sparkle Snapshots (Nintendo, Players: 1, 500 Nintendo DSi Points). At least it isn’t a clock. WiiWare is looking a little worse for wear this week as it delivers three games that don’t sound that exciting. Carnival King (Incredible Technologies, Players: 1-2, E – Mild Cartoon Violence, 700 Wii Points) is a mini-game collection made entirely unnecessary by the fact that a carnival mini-game collection already exists on the Wii. Meanwhile, Family Card Games (Aksys Games, Players: 1-2, E – Mild Suggestive Themes, 500 Wii Points) brings Daddy, Mommy, Billy and Sarah back to the Wii for more Family gaming. The only game with a sparkle of hope is a puzzle collection called “Aha! I Got It!” Escape Game (Ateam Inc., Players: 1, E, 500 Wii Points), which involves a father locking his son in a room and forcing him to solve puzzles to get out. That’s right, a game that is quite possibly about child abuse is the best looking WiiWare game this week. The VC fares much better thanks to R-TYPE (SEGA Master System, SEGA, Players: 1, E – Mild Fantasy Violence, 500 Wii Points) bringing some amazing side-scroller shooting action to the platform. 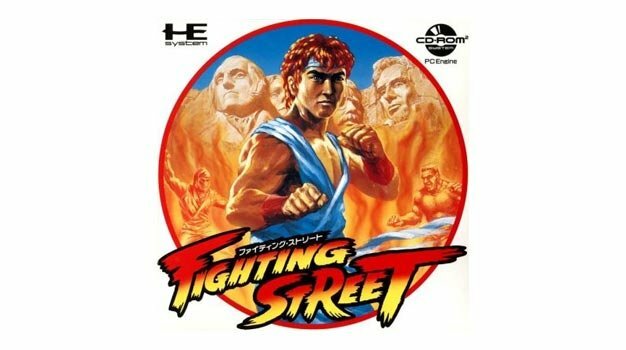 And while Fighting Street (TurboGrafx16 CD-ROM, Capcom, Players: 1-2, E10+ – Mild Blood, Violence, 800 Wii Points) might not be the best game ever, it is a piece of history since it’s a crappy port of a little arcade game called Street Fighter. That’s Ryu up there by the way. He’s defending Mount Rushmore.